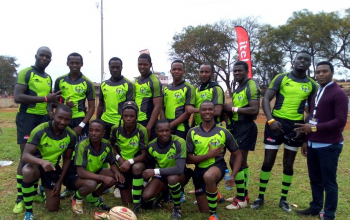 Division 2 series leaders Embu RFC will forever rue a 22-12 loss to Comras in their first game at Christie Sevens as that eventually knocked them out of the Cup contest heading to day two. Embu led the division two log with 65 points after five rounds, and needed to remain in the main cup race for their title race to stay alive. 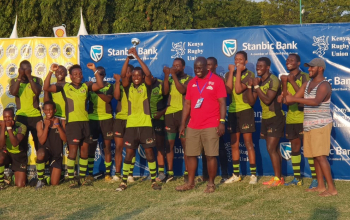 Follow-up wins over KCCA stormers and Daystar Falcons were only enough to land them in the Challenge Trophy where they can scoop a maximum eight points should they go on to win it. With Embu out, it's all left to Makueni - the defending Christie Div 2 champions - and Egerton Wasps to claim it. 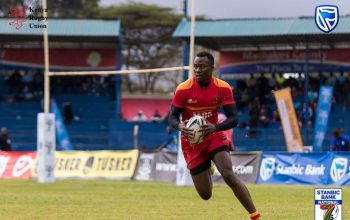 The former was second and the latter third in the series log coming to Christie 7s with 64 and 63 points, respectively , and with both in the Cup quarters, it's a foot race to the title. The least points either can scoop in day two is ten points meaning Makueni will finish above Embu. 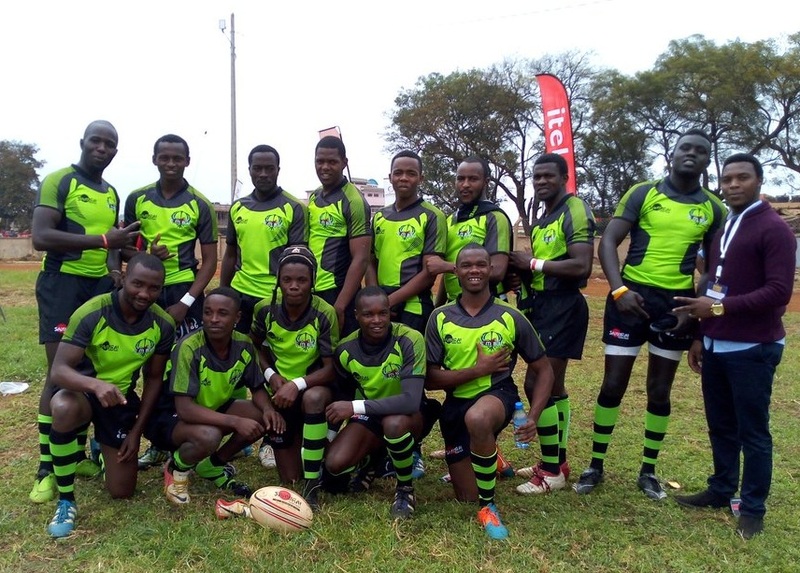 The two drew 7-7 in their final game to stay unbeaten on day one in games played at the Impala grounds. Before that stalemate Egerton had beaten Ngong RFC 29-0 and Kiambu 31-0 as Makueni registered identical 38-0 wins over the two sides. Other unbeaten sides on day one were Comras - last year's semifinalist , Blak Blad, last year's beaten finalist Webuye and MKU Thika who all registered three-game sweeps. 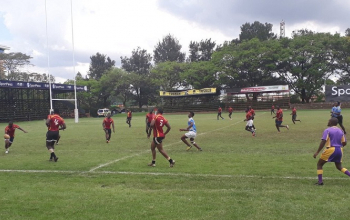 In the opening game of the tournament Nakuru KITI surprised Administration Police (AP) 12-5 as the first shock was registered at an adjacent pitch when top seeds Masinde Muliro (MMUST) went down to Quin's junior side Vandals 12-7. MMUST however recovered in follow-up games and will face off with Blad Blad in the Cup semis as MKU Thika takes on Makueni at the same stage. Webuye has a date with Vandals as Comras parade their acumen against Egerton. 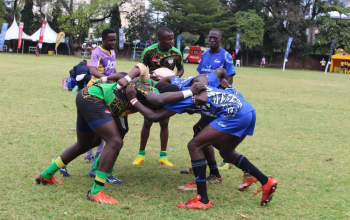 Action on day two starts at 8am when Nakuru KITI takes on Kiambu in the first semi of the Spear Trophy at Impala.